During the first two days of our Ilocos trip, we indulged ourselves mostly to nature's wonders. But this time, as we reach the third day of our trip, our country's great and dark past shall be rekindled. 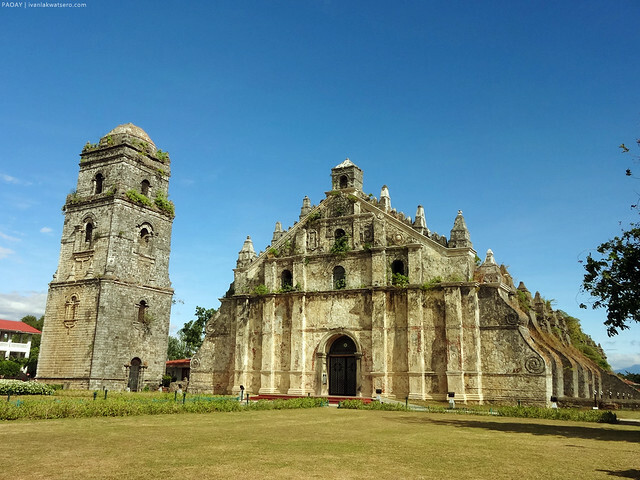 Not only natural gems do Ilocos Norte keep within its boundaries, but also rich history that survived the test of time. 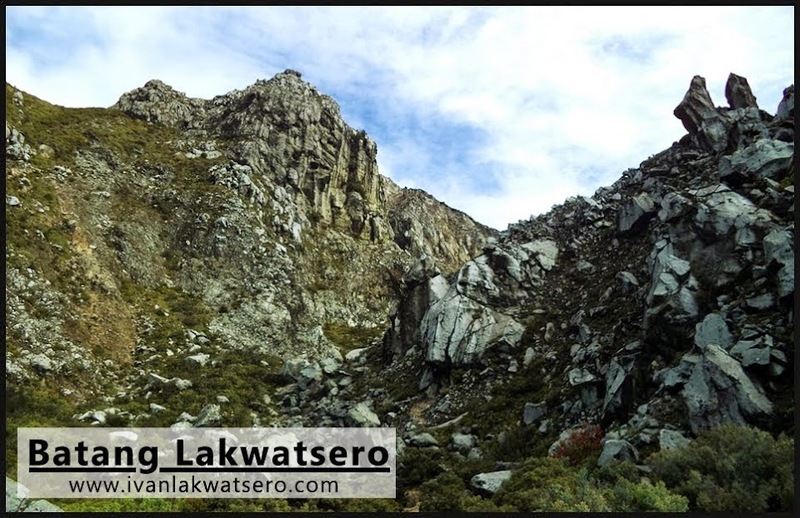 This is the third part of my Ilocos travel series. 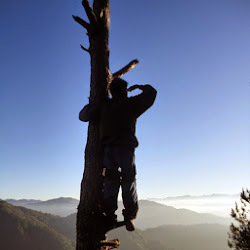 Follow the wonders of Pagudpud in this link, and the marvels of Bangui and Burgos in this link. 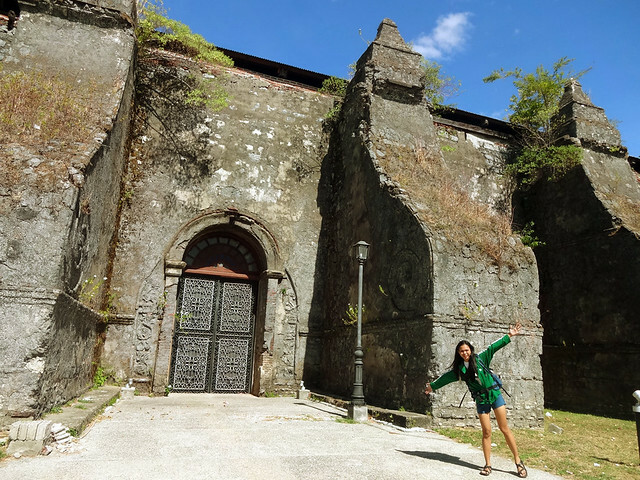 After seeing and experiencing so much of Bangui and Burgos (you better check out my blog about our trip in those places, see this link), we decided to travel south to Laoag, the province's capital city. I've been to this place maybe a couple of times already, in fact my grandma (mother's side) is from this side of the planet, but honestly, I still haven't seen or toured around the place. 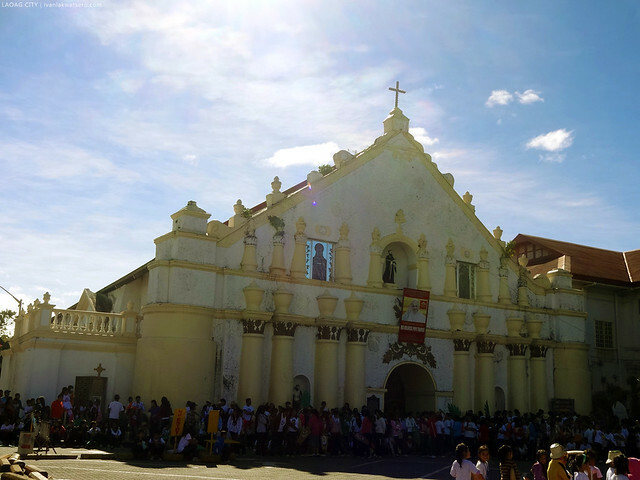 Unlike the bustling Metro Manila, Laoag is still pretty much a laid back city. Not a hint of a hectic life can be observed from the locals. The atmosphere was friendly, and most people would smile, especially to us who obviously look like outsiders. There was no language barrier as well since the people here speak Tagalog fluently. I must mention too that people from Laoag are honest and trustworthy. When I, without knowing, dropped my camera inside a tricycle en route to Isabel Suites, where we would be staying for the night, the tricycle driver turned back and looked for us just to give back the camera. wow! nawalan na pala ako ng camera, hindi ko pa alam. I was so touched and shocked by the incident. Thank you very much kuya manong driver, I regret not giving anything to return the favor. Happy Birthday to me. So glad to be celebrating my 21st year in Laoag City. There is just so much to be thankful for this wonderful year. 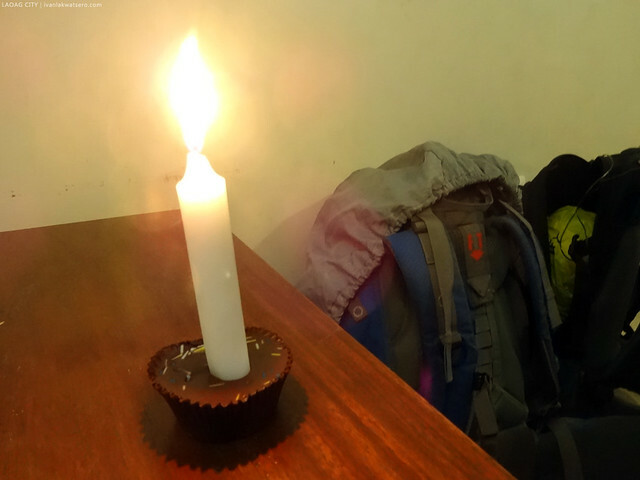 Before the day ended, my girlfriend surprised me with a mini birthday cake and candle. Well actually, I knew she was up to something, so I pretended I was surprised by this mini birthday celebration. hehe. Anyway, she's one of those many things I should be thankful for on my 21st year. The following morning, Dawn and I agreed on strolling around the city. We saw a few old buildings illuminated with colorful lights when we went out for dinner last night, so we got curious how these buildings look like during the day. 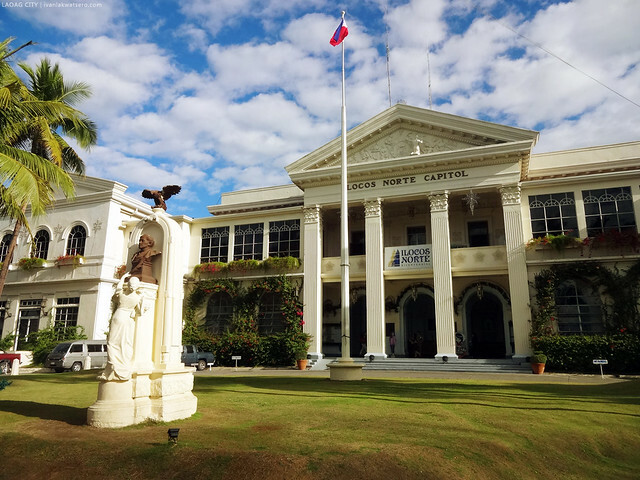 the Provincial Capitol of Ilocos Norte. Nakita din namin ito kagabe, makulay at maraming ilaw. Just beside the Capitol, we saw an old brick building that appears to be a museum. 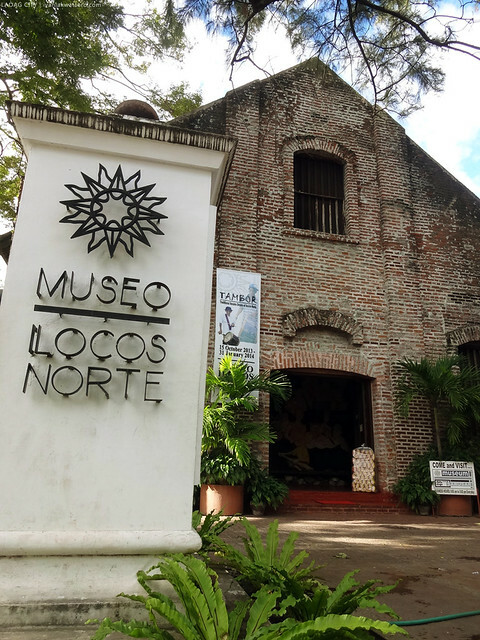 We approached it and discovered that it's Museo Ilocos Norte pala! Naturally, it houses the province's cultural and historical treasures. Interestingly, the museum building was actually an old brick warehouse used for storing tobaccos back in the Spanish colonial period. If you would remember, a monopoly on tobacco was in full effect throughout the province for a certain period of time during that era. Meaning, no other plant can be cultivated in Ilocos soil but tobacco. brick wall from the olden times. 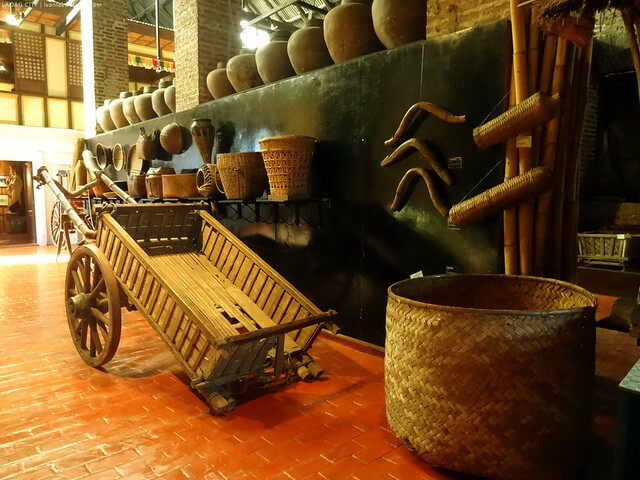 Once inside the museum, we saw jars, tools, and several others that spells Ilocano culture and history. 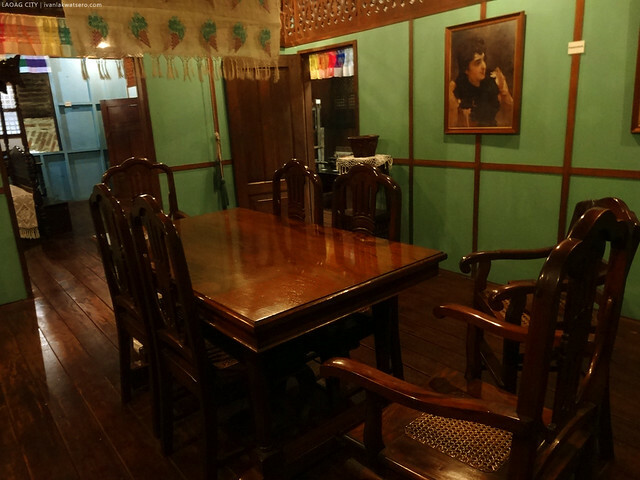 There was even an actual house inside that building, showcasing traditional Filipino interiors. The museum tour was just short but surely fun. Tamang tama lang, walang labis walang kulang. 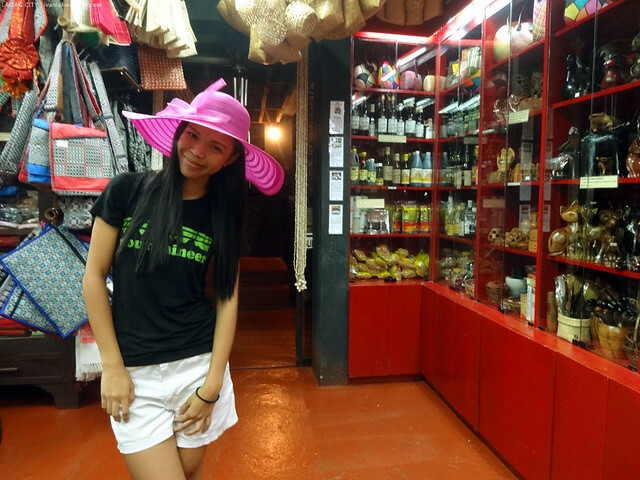 if you wish to buy souvenirs, there's a shop in the museum too. Other old but very well preserved buildings around the area makes the city center visually appealing. And I was so impressed. Nagustuhan ko talaga ang Laoag City to the point na it's one of the places that I would to settle and retire in the future. Another important landmark in the city is found just one block from the plaza. A bell tower that is believed to be sinking about an inch each year, thus the name Sinking Bell Tower. It's part of St. William Cathedral which can be found across the street. 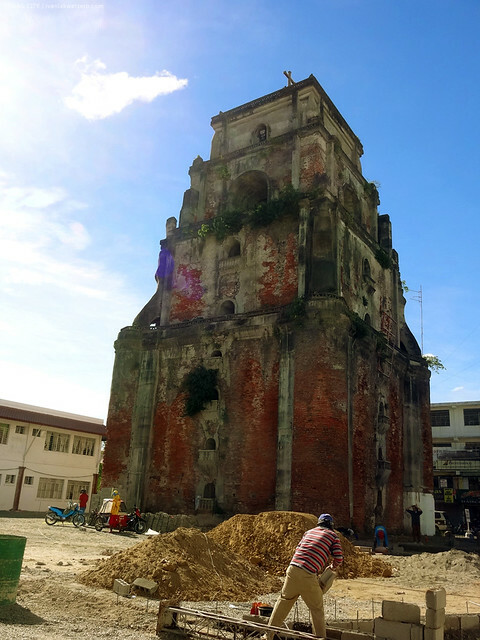 the Sinking Bell Tower of Laoag City. The massive structure was built on top of a sandy unstable ground, thus it sinks every year. At 9:30 in the morning, we're already done roaming the city. As in wala na kami maisip na magawa at mapuntahan. Our check out time in our lodging place was at 12 noon pa, so we still got a few hours to burn (or should I say, to drench). 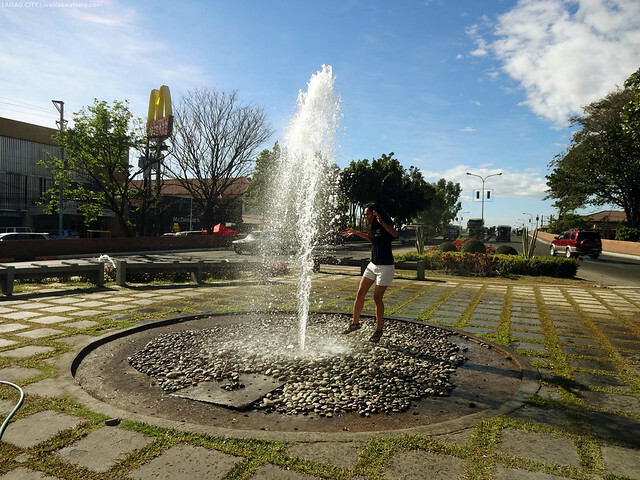 yep, playing with the fountain at the central plaza is quite a nice idea to kill time in Laoag City. At dahil nga wala na kami magawa sa Laoag, we decided to check out early and continue our trip southwards to the towns of Paoay and Batac. At first, we were clueless where we can find jeepneys that go to Paoay, but with the help Mamang Pulis, we easily located the loading bay for jeepneys plying the route (Travel tip: capital towns or cities in each province usually have public transport terminal where we can take a ride to almost every town in that province. Just ask a local where to find these.) (fare to Paoay - P34). If you're taking Manila's MRT/LRT on a daily basis, then probably you've seen this "Paoay, Kumakaway" tourism advertisement already. It features destinations from the town with weird people wearing weird mustaches. Weird talaga, but effective! Wala lang, naalala ko lang bigla. Anyway, we reached Paoay in a matter of 20 to 30 mins jeepney ride from Laoag City. 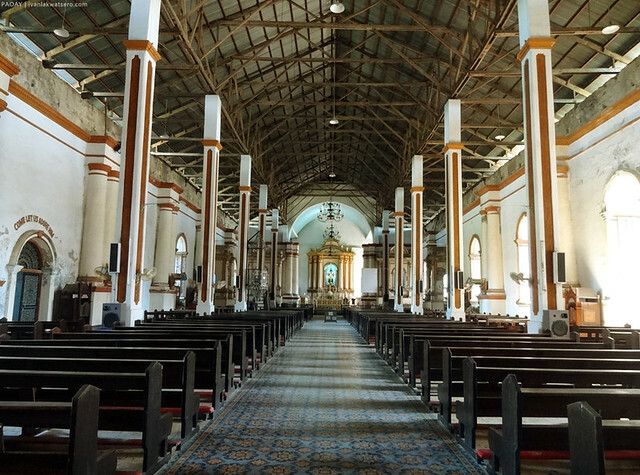 You'll know you're already in Paoay once the massive Paoay Church appears on the horizon. It's just impossible to miss the towns gigantic and iconic centerpiece. just look how huge the buttresses this church has. details of those massive buttresses won't go unnoticed. 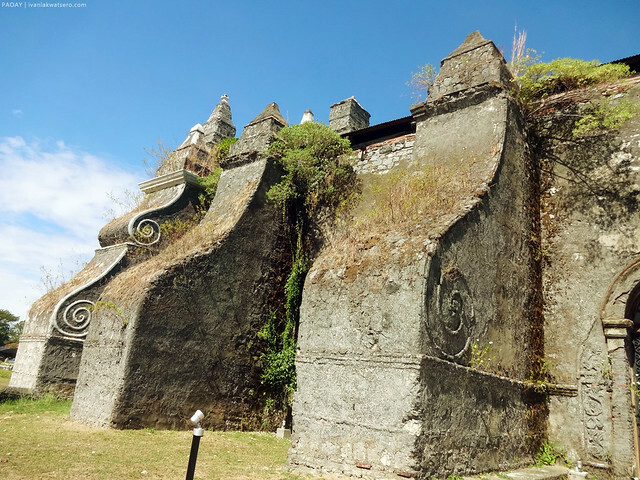 By the way, this centuries old stone church is among the four Baroque Churches in the Philippines enlisted in the prestigious UNESCO World Heritage Sites. Therefore, having been to this place is as prestigious as visiting Cambodia's Angkor Wat, or Peru's Machu Picchu. It's a true Filipino pride. Going around the massive Paoay church surely made us hungry. Gugutumin ka talaga sa laki ng simbahan, and besides, lunch time na rin naman. 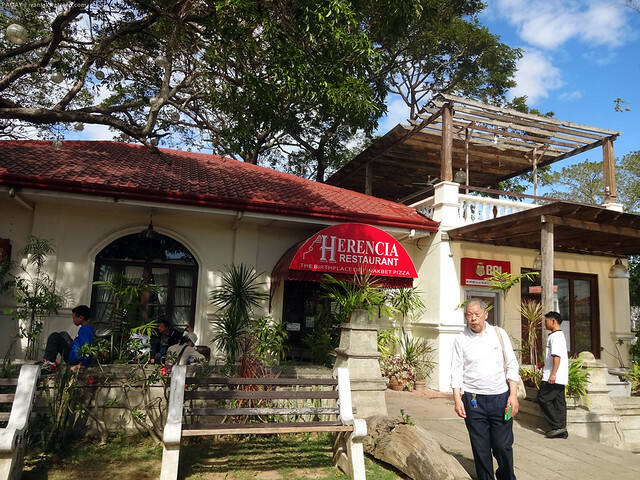 Good thing, there's Herencia Cafe just in front of the church. Herencia Cafe. I've tried eating here once, and I yearn to eat here once more. The cafe serves authentic Ilocano flavors. From pinakbet, to bagnet, to dinengdeng and to igado. There are plenty to choose from, and so far, I liked them all. 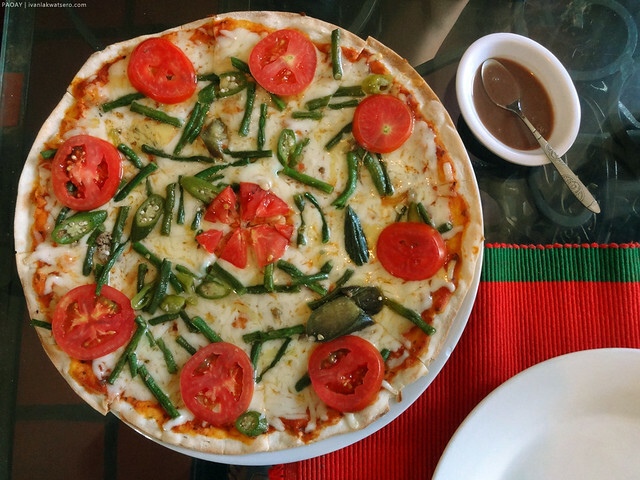 They even have this Pinakbet Pizza that actually has the dish's vegetable ingredients as toppings. Did you notice the bagoong? To replicate the real dish, you consume this pizza with bagoong (fish sauce). 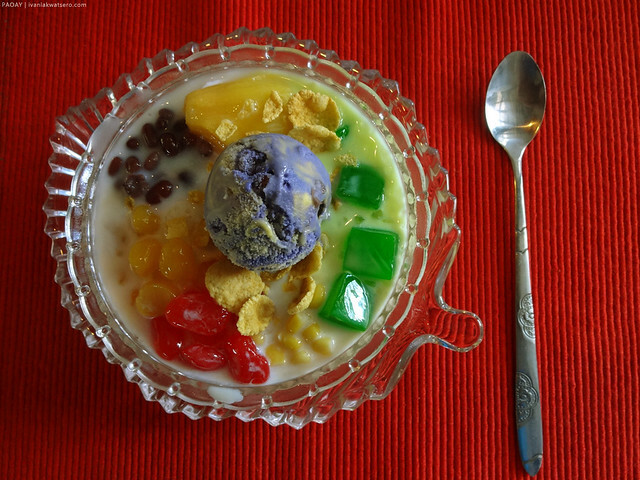 Haluhalo to complete our day. 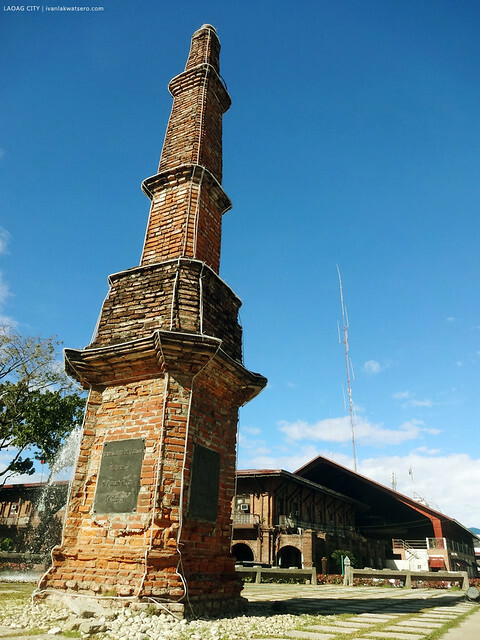 Aside from the church Paoay is primarily known for, the town also has President Marcos' former abode which now turned a tourist destination. People call it Malacañang of the North. To reach it, we hailed a tricycle from Paoay Church, P200 for a 2-way trip. 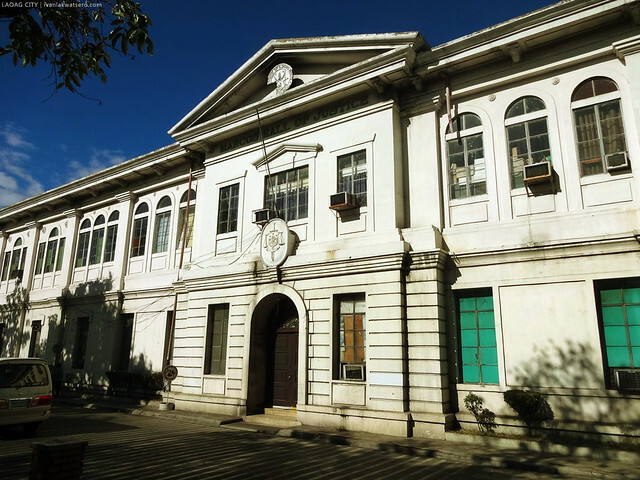 Malacañang of the North was once a presidential house in this part of the country. 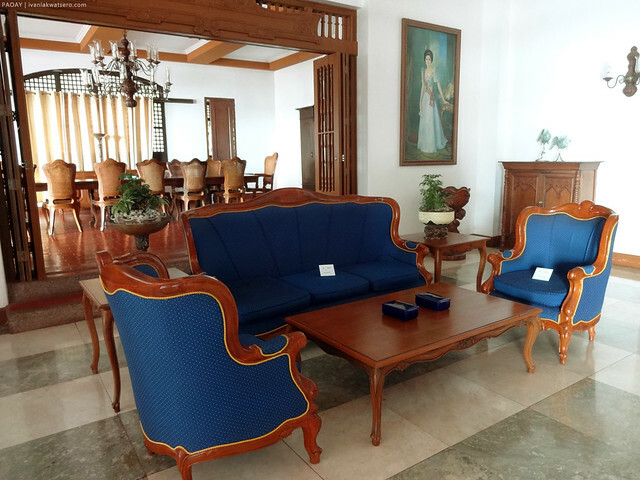 Spacious rooms, lavish furniture, and executive atmosphere define this classy Filipino mansion. I am pretty sure, Imelda is behind the luxury of the place. Welcome to Malacanang. Entrance to the palace cost P30 per head. President Marcos, of course, held office in this house. 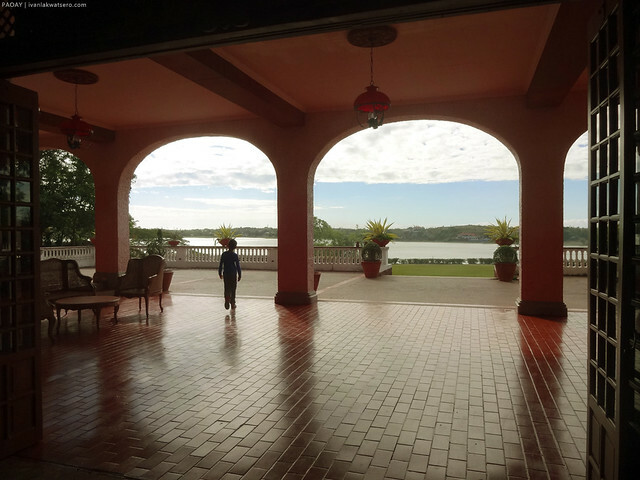 A nice view of lake Paoay can be seen from the veranda of the mansion. 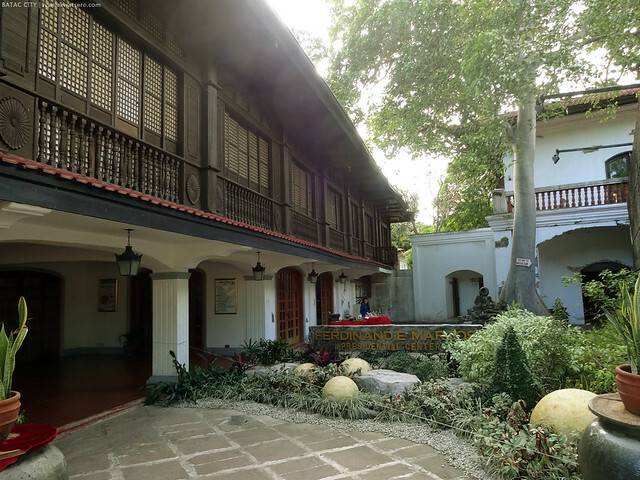 There's a room in the house that exhibits the achievements Marcos had done for the country during his 20-year rule. However great, I still can't feel proud of him. How could I? To mention his "achievements" is digging up the dark era of martial law years. Oh, hindi talaga ako fan ng mga Marcos, never. At 3 in the afternoon, we're already done touring the house. It was a short but definitely fun experience. I felt rich and so privileged kahit sa maikling panahon lang. Moving on, there is still one more destination in our checklist that we wanted to visit before leaving the town but no longer possible due to constricted time. We had to skip Paoay Sand Dunes, and I regret it big time. Back in Paoay Church, we took a jeepney ride to Batac City. 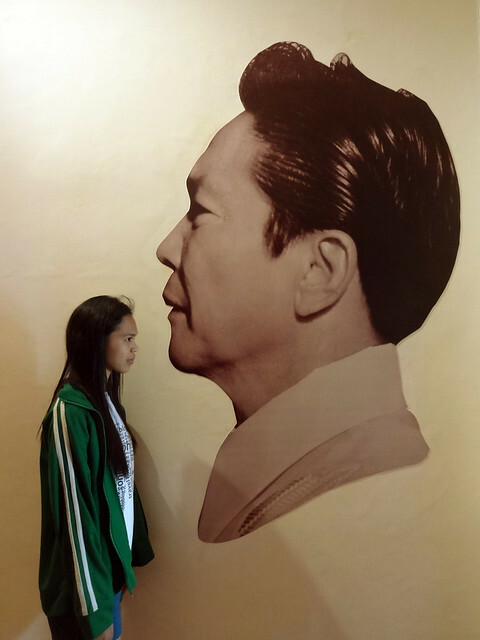 Well, the only reason why we decided to make a stop in Batac City is so we can visit Marcos Museum. 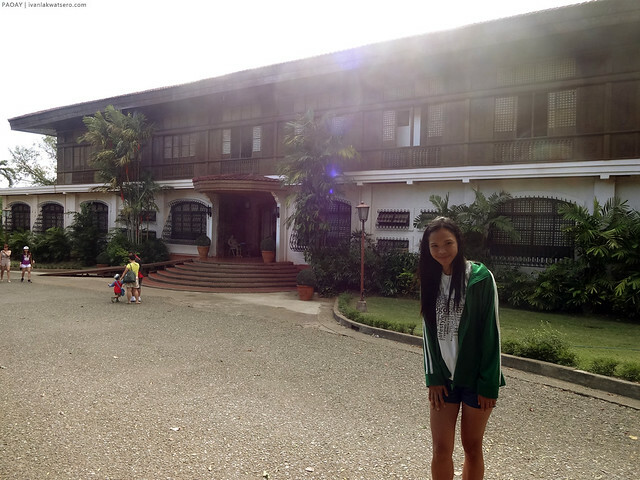 Marcos Museum in Batac City was the ancestral home of president Marcos. 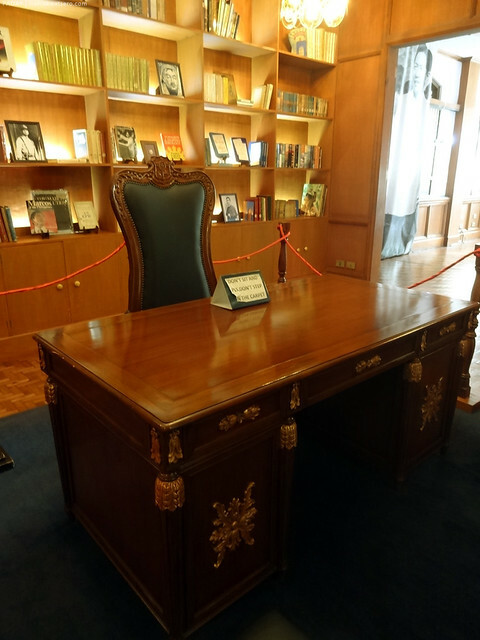 It shelters not only the important mementos of the Marcoses, but also the body of the late dictator, himself. Yup, you read it right. The cold dead body of President Marcos is kept in a crypt in this museum. This museum closes at 4 PM, we arrived at 3:45 PM. Muntik na kaming hindi papasukin, buti na lang nagmakaawa kami. The crypt is just a small dark room at the ground floor of the museum. Once you enter, you can see right away the body of the late president encased in glass and surrounded with fragrant flowers. With creepy music being played, the ambiance in the room is really very eerie. Well, the fact that there's a dead man there is enough to maintain the creepiness of the place. Taking a photo is prohibited inside the crypt. President Marcos still remains unburried decades after his death. That's what happens when you became enemies with the majority of the Filipino people. It would remain this way until the government yields to Imelda Marcos' request to bury the president in the Libingan ng mga Bayani with full military honors. We finished touring the Marcos Museum at around 4 in the afternoon. This in turn marks the end of Ilocos Norte leg of our trip as we're now heading towards Vigan, capital city of Ilocos Norte's southern counterpart.